As County Auditor, I'm here to safeguard the assets of Geauga County and to help the County continue on the path toward a strong financial future. 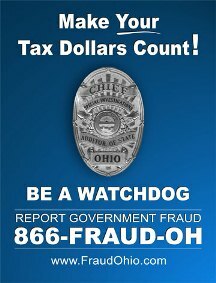 It is my job to see that the funds of Geauga County are spent legally and that tax revenues are distributed properly. This Office keeps the general accounting records; prepares financial reports; prescribe systems for the receipts and disbursements of the County; audits and processes accounting transactions for grants, payroll and invoices; verifies compliance with purchasing laws; performs statutory reviews of records maintained by other officials, and prepares annual estimates of budget revenues. Ohio law places more responsibility upon the County Auditor than any other County Official. Many of the functions performed by my office are complex and require the skills of trained public servants with many years of experience. I am proud of my employees and of the outstanding job that they do for the people of Geauga County. They do their jobs with pride and care for you, the citizens of Geauga County. The major duties of each department are summarized in their pages accessible throughout this website. Taxes are typically billed in January (first half) and June (second half) of each year and are always due on the second Wednesday of February and the second Wednesday of July. Homestead Exemption has a new amount to qualify. Income level must be less than $32,800 (2018 Ohio Adjusted Gross Income). Registration of the County’s dog population renewal (licenses) deadline is January 31st, 2019. Please do not hesitate to call or visit us personally at the Court House Annex Building, 231 Main Street, Chardon, Ohio. Our office is open 8:00 A.M. to 4:30 P.M., Monday through Friday, excluding holidays. "Levies That Impact Your Taxes"
​Please be cautious when dealing with people you DO NOT know. When in doubt call the Sheriff for assistance or my office if needed.